I want a closer shave, so I reach for a tube of Anthony Shave Gel. Anthony Shave Gel is fragrance free and designed for sensitive skin. The aloe beads and slippery elm soothe your skin as the glycerin lubricates. It has a much closer shave then creams and gives me a nice clean, cool look. Anthony shave gel also contains sea kelp which prevents inflammation and helps reduce redness. A portion of the proceeds from the sale of all Anthony Logistics for Men products is donated to prostate cancer research. 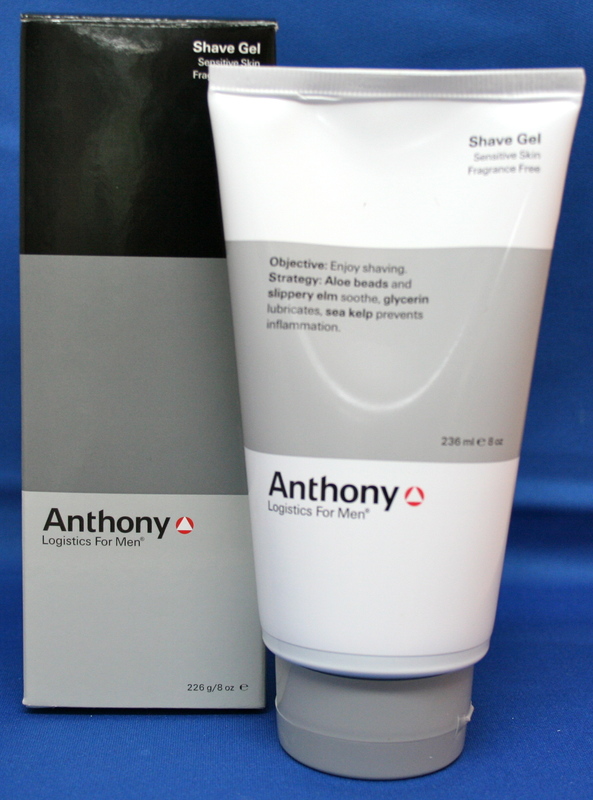 From Anthony Logistics For Men a alcohol and fragrance free deodorant for all skin types. This smooth feeling deodorant is made with herbal and botanical extracts which deodorize and calendula which calms.